KPop Now! Is a great guide for those that are interested in K-Pop music and in helping to get to know the big names in that genre of music. For fans it’s getting to know their favorite artist or band just a bit more. 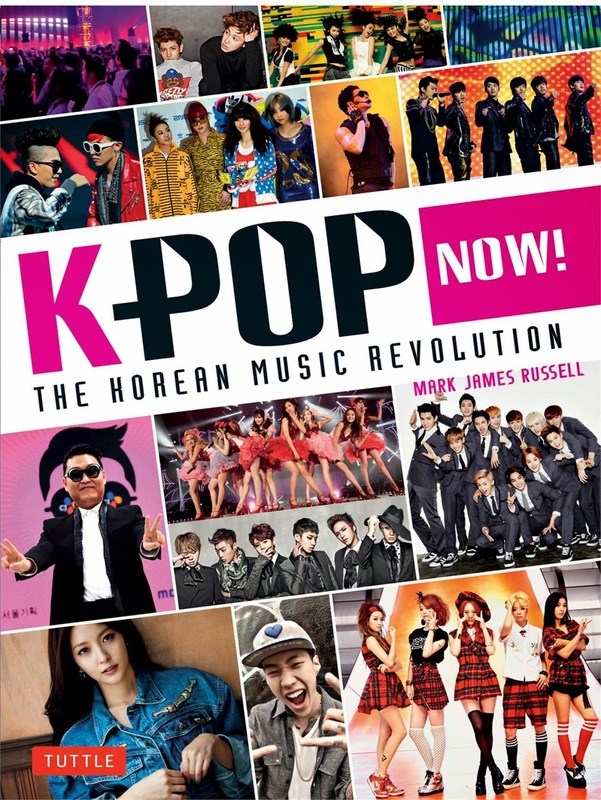 Filled with great photos and insight into the world of K-Pop music, Mark James Russell does an excellent job making the reader understand what makes this music so unique and why we should all pay attention. Mark James Russell has been living in Korea for quite a while; covering pop culture in Korea for many publications since 1996. A great highlight of this book is that he gives you a brief history of Korea as it pertains to music from the 1970s up until now. He also gives you a great lay of the land; naming landmarks, which streets to go to, where the major studios are located and just the feel of what Korea is like now. He describes K-Pop as a reflection of what Korea is; which is loud, bright, and energetic. It’s as if K-Pop is the soul or Korea. He goes into how each group is formed; open auditions through the studio that are held once a year in Korea, as well as in other parts of Asia, Canada, and the US. It’s not all about dancing and singing, the studio executives are looking for those individuals that exceed the basic aspects of being in a band. Once candidates make it through the audition and are chosen, the training they endure is rigorous and almost endless. Certain studios have reality TV shows for their bands to show who will be the next group of stars or who will be the new band that will be coming up. While it may be a process, he assures us that it by no means takes away from how unique each of their music is or how they perform or stand out as individuals in a band. This is a great book for those that don’t know the K-Pop scene all that well and want to look into popular artist or even find new ones. For fans they will appreciate the enthusiasm and appreciation Mark James Russell has for the culture of K-Pop.